Imagine sportswear that not only stays dry through the most sweat-inducing workouts, but also turns perspiration into a design element. Named after the driest desert in the world, Atacama uses microfluidic technology to create textiles that can do just that. The recipient of a grant from the National Science Foundation, Atacama is also exploring how its technology can be applied in a diverse range of industries, including apparel, auto manufacturing, and healthcare. The medical industry started using microfluidics in the 1980s for “lab-on-a-chip” devices that allow researchers to use very small samples of blood and other fluids. By figuring out how to integrate microfluidics into textiles, Atacama can create activewear that feels more comfortable because almost all of the fabric remains dry. While most moisture-wicking fabrics currently on the market draw sweat to the surface of clothing so it evaporates more quickly, microfluidics directs moisture into tiny three-dimensional channels and then controls the direction of the fluid so it collects or drips off textiles exactly where manufacturers wants it to. The team studied textile manufacturing methods and figured out which ones can be used to create microfluidic channels in a cost-effective way. They took a close look at embroidery, weaving, textile printing, and knitting, as well as the latest state-of-the-art machinery used for those techniques. After a paper Xing co-authored about his findings caught the attention of several manufacturers in the military, healthcare, and automotive sectors, a friend introduced him to Susan Neal, who had previously served in leadership roles at Men’s Wearhouse and Gymboree. He asked her to join Atacama’s board to help him talk to companies. Neal decided to take on Atacama’s CEO position after seeing Xing demonstrate its technology. 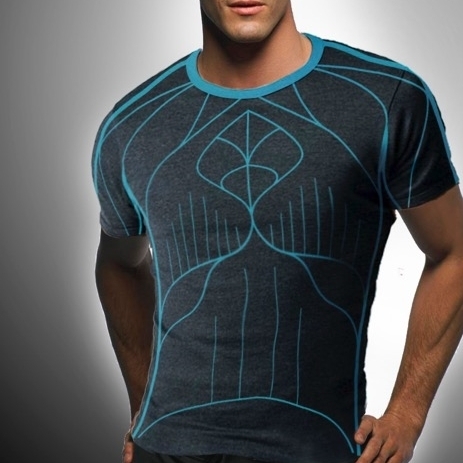 “It was at a board meeting where I saw the prototype, a shirt, that they had developed. Seeing it work and in action, it had that wow factor,” says Neal. While Atacama’s tech has been applied mostly to synthetics like polyester and nylon, the company is also testing it on natural fibers like cotton and merino wool. Consumer products using the technology aren’t on the market yet, but Neal says Atacama is developing prototypes with several companies. Being able to manipulate how fluid travels over the surface of fabric in channels means Atacama’s technology can be incorporated into apparel design and shown off, a potential selling point for sportswear labels. While its most obvious use is for workout gear and other apparel (in dress shirts, for instance, Atacama’s tech can prevent underarm stains), it also has a whole host of other potential applications. For example, it can be used in protective clothing or to create better diapers, bandages, casts, and hospital linen. “We’ve been asked to look at car seats. What we’re finding is that there is a lot of interest in this technology to keep moisture and spilled drinks away from electronics in autonomous cars,” says Neal.